looking for an escape. There is not a fence company that can reliably keep these two in – we’ve had to make our own provisions. 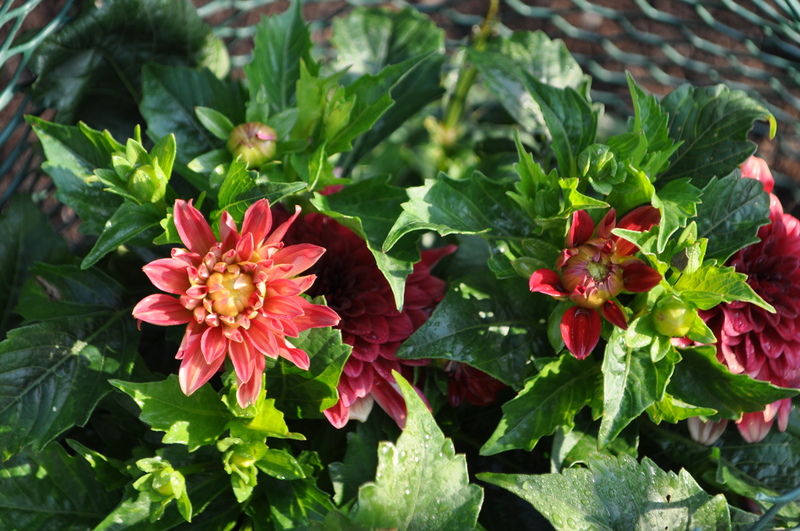 I am watering the dahlias every day and find that they are drinking it up in this heat! 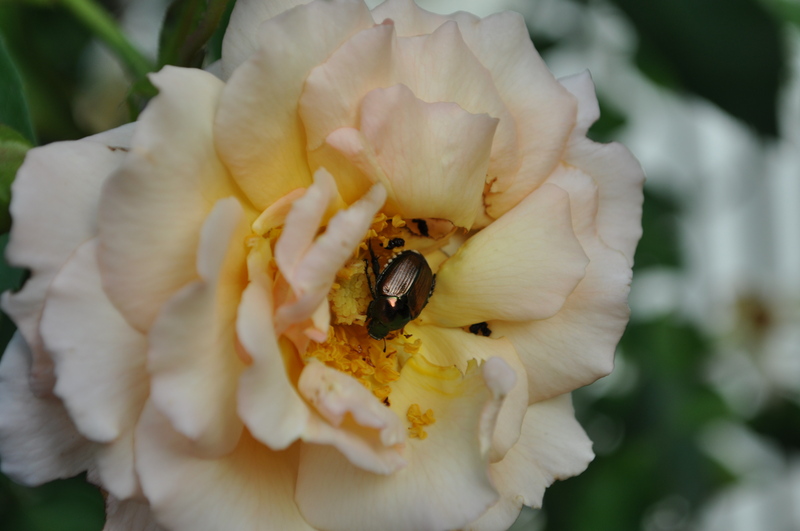 The Japanese beetles have arrived. Ugh! Between the red lily beetles and the Japanese, I am kept busy – I use the hand (gloved) squash method. Or when they get too populous they get knocked into a soapy brew. 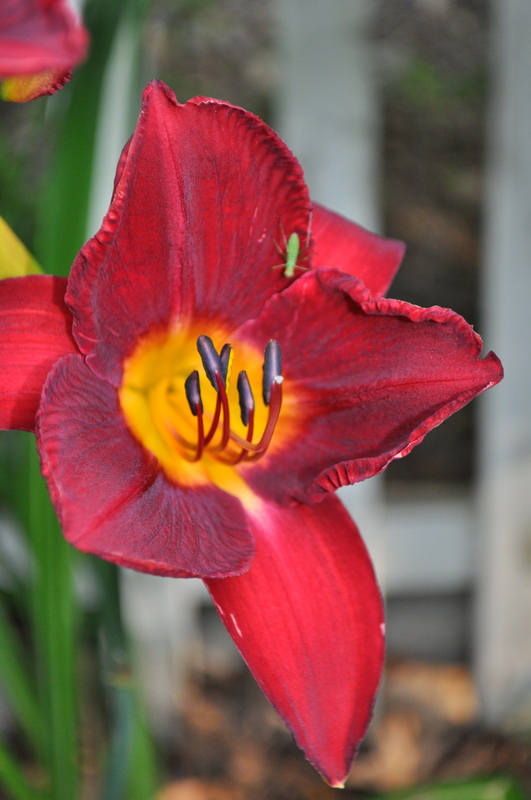 Other blooms in the garden include morning glories, agastache and day lilies. 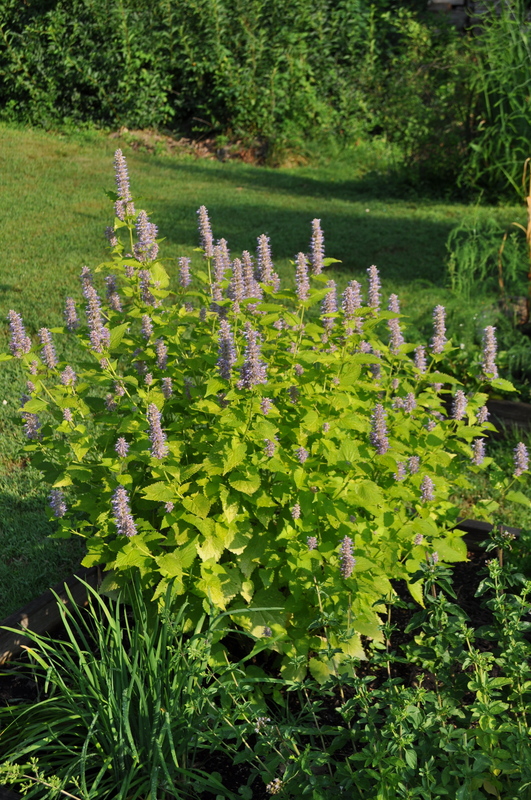 The agastache above was the mystery plant in the raised herb bed that I posted about early in Spring. I grew it in a pot last Summer and tucked it away in the raised bed at the end of Autumn, not expecting it to survive. Voila! 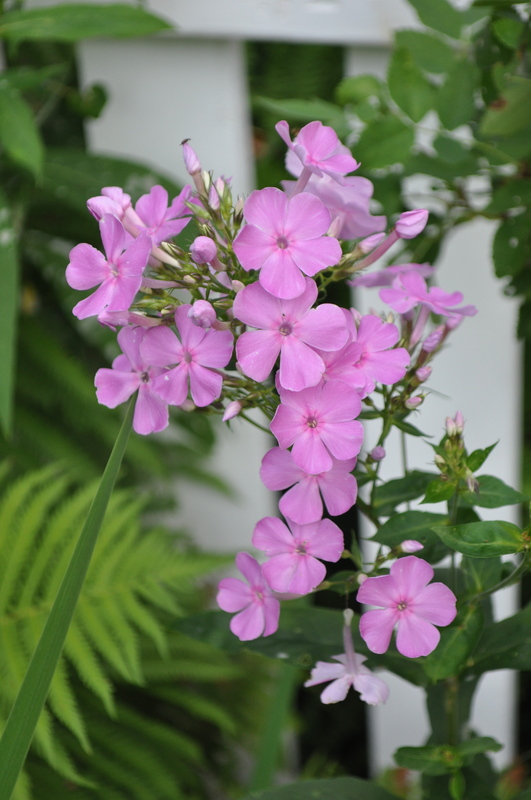 The phlox have been struck with mildew. Even the resistant ‘David” has succumbed. Dreadful! Some I cut to the ground, and others I left to bloom. They are not happy this year! will always remind me of her and her gift of friendship! This entry was posted in Uncategorized and tagged agastache, beetles, dahlias, morning glory, phlox. Bookmark the permalink. 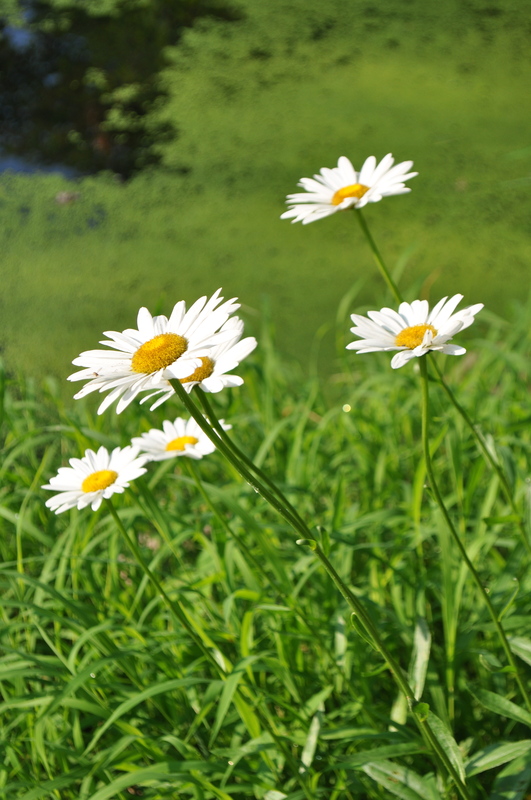 Daisies are such ‘happy’ flowers – at least them make ME smile! Awwwwww! That is so sweet and precious! Happy thoughts and wonderful memories !!! Hey! Love your blog! I will be a frequent visitor!!!! I miss you and my garden!!!! Charming post. 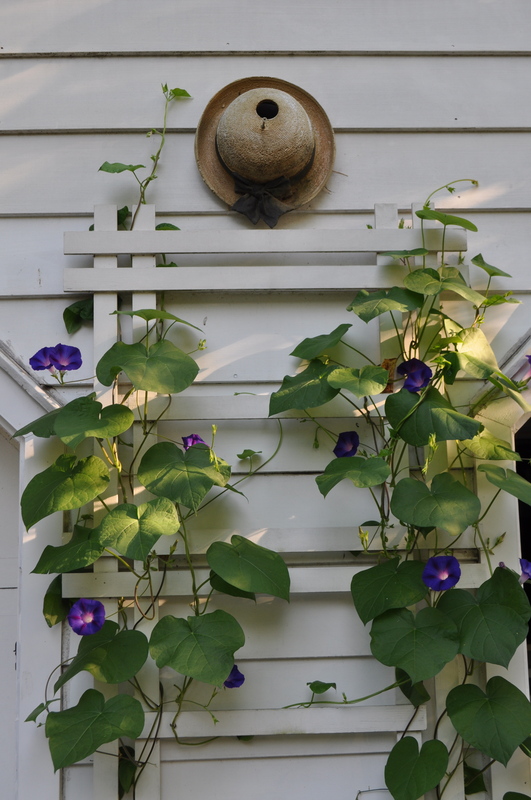 Could their be a better early summer image than the morning glories on the shutters with bird house? I think not. Nice job on daisies to round out the post. As I visit other bloggers, we all seem to be suffering with our gardens. Many are suffering with the dry heat and others have flooding rains. It is quite a challenging summer. I am very fond of your morning glory and trellis. It is so beautiful! What variety of morning glory is that particular one? I believe that it is Grandpa Ott’s, which I planted from seed last year. Seems it re-seeded and was up before I had a chance to try anything different! 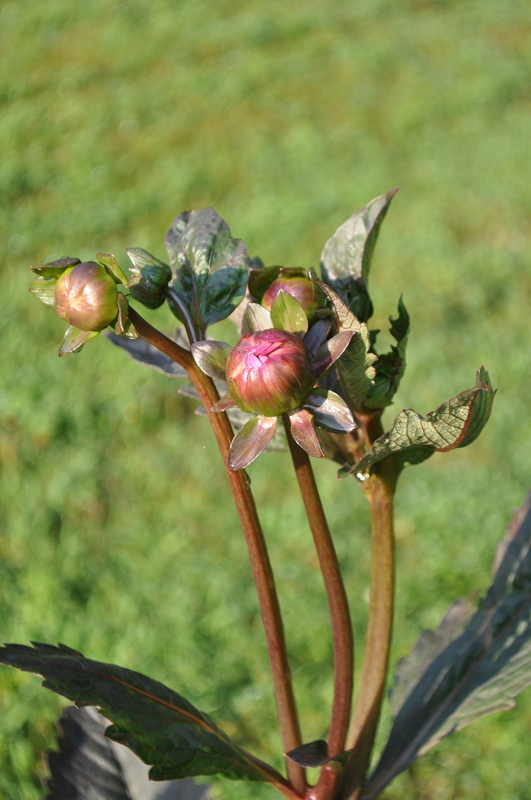 Looking at your photos, the flowers don’t seem to be minding the heat much. They are looking great. 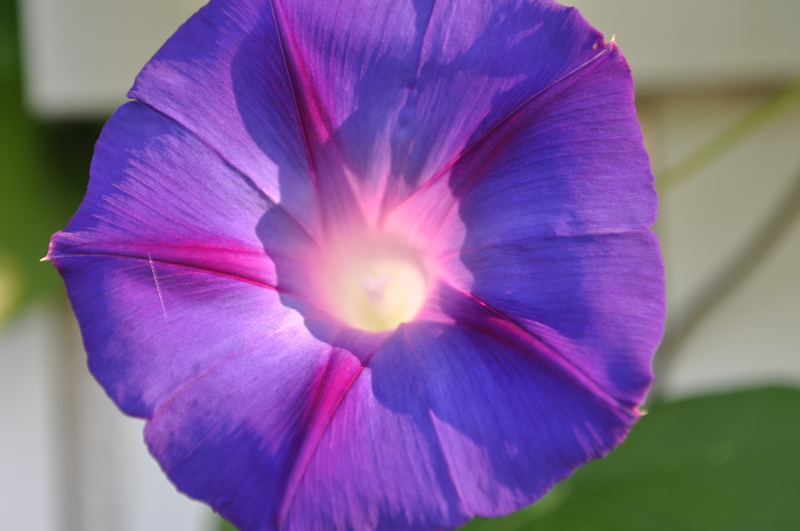 I wish I could grow morning glories. They are such sweet looking little flowers, and I love that they come in such sweet colors, too. But they are very invasive here, so I don’t dare plant any!